While the housing market in most places certainly has improved and the number of foreclosed homes on the market has decrease, they will always be foreclosed homes available for purchase. Because of popular television show on house “flipping” and investment real estate, however, many buyers have unsubstantiated ideas of what buying a foreclosed home entails. Here, then, are some myths and truths about buying a foreclosed home. 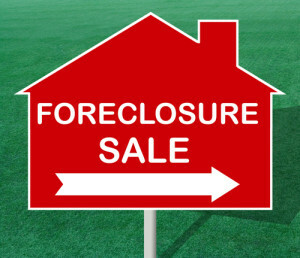 Many buyers believe that a foreclosed home will be a very low price. The truth is that while homes may be discounted somewhat, the massive discounts people sometimes expect are unrealistic. While the “discount” may be well below what the former owner paid for the home, because of the changes in the market itself, the discount compared to other similar homes may be more modest. So, if the home is a “good deal” and does not require a tremendous investment to return it to a livable state, there is nothing to stop you buying it. While the foreclosure removes the former owner’s mortgage debt, the home may have liens against it for back taxes, or money owed to mechanics or contractors. A thorough title search will reveal this information to you. Before making an offer to buy a foreclosed home, make certain you have this information at hand. Your real estate professional can help you uncover any financial challenges associated with past judgments and liens. While it is a myth that most foreclosures are homes where the owners simply walked away, it is true that foreclosed homes may need some extra care to return them to their former state. When the original owner loses a job or has a financial or medical disaster that eventually leads to the foreclosure, their attention to maintenance and detail may decline simply because they are unable to do it. In addition to that, because the banking industry was slow to begin selling distressed properties, the home may have remained empty for several months, or even years. Homes that endure several seasons without the electricity on, for example, may be subject to mold and other environmental issues, and homes that rely on a sump pump to keep water from seeping in may have damage to basements or main floors from unchecked water. Roofs may have undetected storm damage or problems from backed-up gutters. Additionally, major appliances such as air conditioners and furnaces sometimes break down from lack of use. While some angry owners may vandalize a home they are losing, for the most part, destruction is to an empty home. Opportunistic thieves believe that no one will notice missing light or plumbing fixtures, paver stones and other easily accessible objects. Broken or cracked windows may be from a stray baseball or from a major hail storm. Damaged gutters can result from falling tree limbs and broken wiring might result from rodent infestation (yes, those pesky mice like to eat the insulation off wiring). A thorough home inspection is in order before you buy a distressed property even if it has not been empty for very long. We can connect you with a professional home inspector who can give you an unbiased report of what your potential new home or investment needs. We can help you make sure that your “hot deal” really is a great deal for you.